Recently I had the pleasure of being a guest on the Dr. Nilda Perez’s Business Foresight Show. Dr. Nilda’s mission is to help Latino business owners to grow their business to epic levels through her dedication to their success. Dr. Nilda Perez is an academically trained Futurist with a Doctorate in Strategic Foresight from Regent University. She is a member of the Association of Professional Futurists. She uses targeted strategies to position businesses in the 21st century with ease and efficiency. Her goal is to help businesses of any size align themselves for longevity, an uncontested market space, increased profits, and maximum growth using a number of tools, methods, and approaches. In this interview, we discuss everything from branding to networking to beer. View the interview below! There has been much debate about the name change recently announced by the Jacksonville Suns. 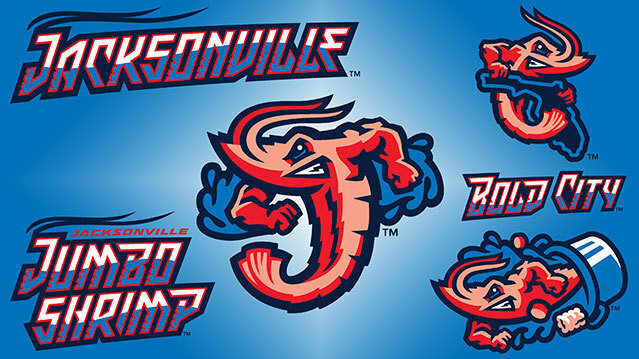 The team is being renamed to the Jacksonville Jumbo Shrimp. 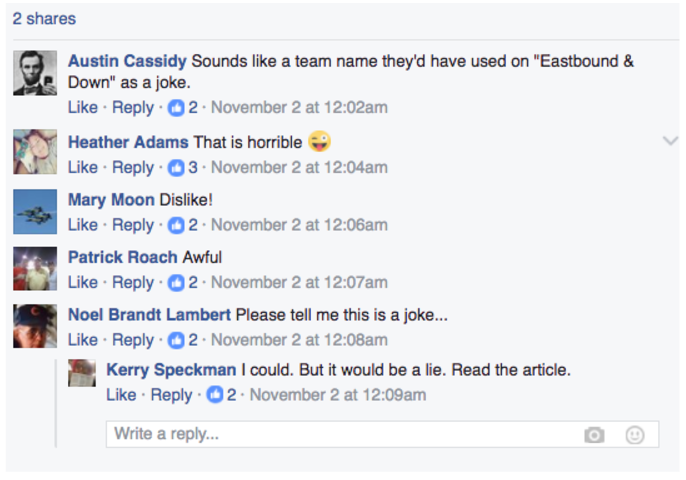 If you use social media conversations as the litmus test on the success or failure of this idea, it would seem that the city is overwhelmingly against the name change and the citizens deem it a failure. As the Creative Director of a marketing agency and a designer with more than 15+ years of experience, I pay attention to these types of brand identity changes and have personally created hundreds of logos for companies large and small in a multitude of industries. So, when I started to read the backlash, I looked at it from the perspective of the owner and their marketing team. While I was not involved in this project I would like to weigh in with a different point of view and items to consider. Goals of the name change – At this point everyone is speculating on the name change and it’s impact on the city. The one thing no one is discussing is what the purpose of the name change was for the new owner, Ken Babby. As a new owner, he is setting the stage for his business not only for today but for years to come. Savvy business owners think in long-term strategy not just instantaneous gratification. The target audience – In order to increase engagement and sell more tickets, the target audience must be considered. Minor league teams are a great family event that are cost effective compared to higher ticketed items such as pro or college football. If you are looking to appeal to families then you need to appeal to kids. A jumbo shrimp is more likely to appeal to a child than a sun mascot. I submit Chuck E. Cheese as Exhibit A. Creating buzz – Nothing creates buzz and visibility more than controversial topics. Just look at the presidential race to see how much traction is gained by a polarizing topic. Staying with the Suns brand would be an easy solution, but it would most likely continue to deliver sub par results. Although this name may draw strong criticism, it has already succeeded in getting more media and local attention than the Suns have received in recent memory. I would venture to say that there are probably new residents and visitors to Jacksonville that had no idea that we had a professional baseball team, but they are very aware now. Previous results – Nothing beats results and when you have a proven record of completing a brand makeover successfully, then your critics have little room to talk. The most effective choices are rarely the popular choices. In business if you lead by popular demand, you will quickly fail. Going against the grain – Some of most successful brands are the ones that have boldly gone where others were afraid to. In today’s society individuality and authenticity rule. Why not embrace your uniqueness, your weirdness, your quirkiness – you may just connect to people on a different level and find that you have a new audience of raving fans. Time will tell if the Jacksonville Suns name change to the Jacksonville Jumbo Shrimp will prove to be a good idea or a bad one, but regardless of the name, I will continue to support our city and the sports teams as a proud Jacksonville resident. What’s your take? Head over to the Rock My Image facebook page and let us know if you like the name change. Picture this: one day you’re in business, and the next day without warning, you’re not. In 2007, the company I had been a part of for over four years unexpectedly shut its doors leaving the owners broke and the employees jobless in a turbulent market. At that time I went into full-on fighting mode with two choices: 1) look for another job or 2) start my own business. To me, the idea of going to work for someone else after what we had just gone through didn’t resonate. I wanted to take back control of my own destiny and had a bigger vision for my career. I decided to make my own way. Luckily, while working for that company, I had always kept a few freelance clients and was provided the opportunity to hold on to a few from my previous company. From that point forward, I have been an entrepreneur and a champion for small business. It’s been nine years since my entrepreneurial journey began and I attribute much of my success to the groups I’ve been able to lead and be a member of. Mastermind groups have been key to my success and ability to remain a self-employed business owner for nearly a decade. Each mastermind group will be run uniquely, but they typically have some common characteristics. Mastermind groups will have a portion of the meeting to celebrate wins, discuss issues and learn from the facilitator or members. Many mastermind groups will have a hot seat or focused session where individual members will go in depth into their business or personal life. One of the most important aspects of a mastermind is accountability. Members will leave each meeting with an action or actions they commit to taking before the next meeting. Masterminds meet on varying time frequencies and in various locations both in person and online. If you are interested in joining a mastermind, the fastest way to find a group is to do an internet search. Consider using other phrases such as executive peer group or business roundtable. You can also ask your connections to see if any are currently part of a mastermind group. If you are in Jacksonville, Florida and seek to be an authority in your industry consider joining our Rockstar Professional Mastermind (RPM) group. Our members have access to our proven marketing system, the Rockstar Professional’s Business Growth Blueprint, as well as our 45+ years of collective marketing experience. A mastermind group is a great way to improve your business through the experience and wisdom of others. Members of the mastermind provide a sounding board for issues, a think-tank for ideas while allowing you to avoid mistakes others have made and leverage proven tactics which have produced successful results. If you’ve considered joining a mastermind, I highly recommend you take the leap of faith so you can leverage the benefits immediately. If you are ready to take your business to the next level and leverage the benefits of a mastermind, take action today and find a group that meets your needs. 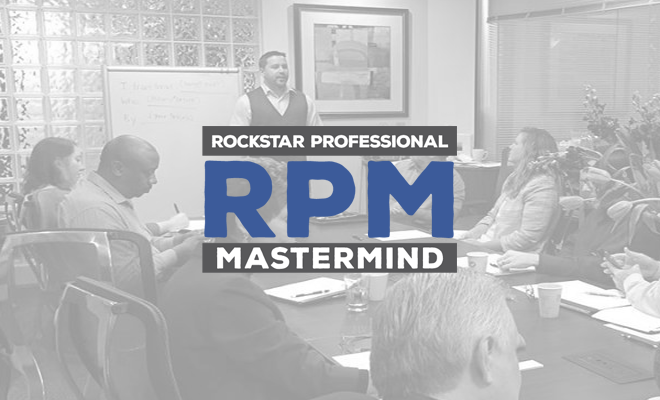 Click there to learn more about RPM | Rockstar Professional Mastermind group. We are currently reviewing applications to launch our Jacksonville group as well as virtual groups. 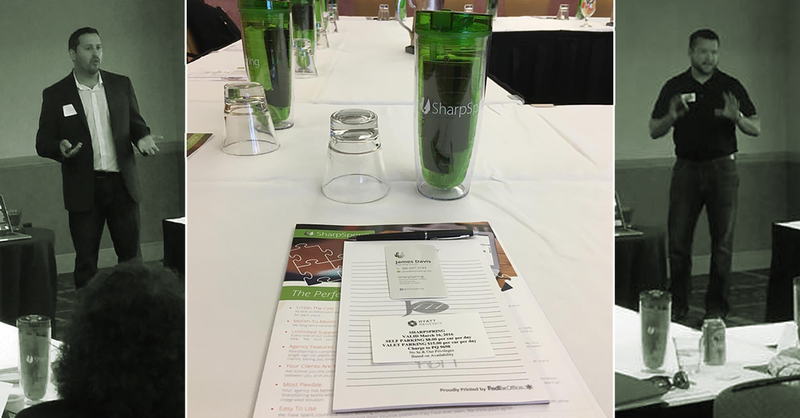 I was honored to join Sharpspring for a presentation on marketing automation to a handful of Jacksonville marketing agencies this past week. Rock My Image was one of the first marketing agencies to partner with Sharpspring, a marketing automation provider who caters to agencies. Now Sharpspring boasts nearly 1000 agency partners across the world. Sharpspring like our company, was a startup that was new to the market. This provided them with a few advantages that other marketing automation providers lacked including the ability to personally stop by our office and provide a live demo. They also were able to create their platform to be visually attractive and user friendly, whereas some older platforms have a harder time making overhauls to their interface. We were also able to provide feedback and insights on ways to improve the software which Sharpspring not only listened to, but also implemented when viable and valuable to their partners. Sharpspring allows us to create targeted forms which cater to prospects at each stage of the sales funnel. We can create low-level forms with a single field, or complex forms for deeper engagement. Each form can be bolstered with auto-responders and custom drip campaigns and workflows. Leads can be assigned to campaigns to ensure ROI is attributed to the correct source allowing for improved projections and budget allocation. Behavioral marketing reviews the actions of leads and utilizes that intelligence to create communication that is catered to each individual lead. Behaviors such as page views, forms filled and media viewed can be tracked and appear in the life of the lead. Custom lead scoring helps determine the likelihood a lead will convert into a sale. Interested in adding marketing automation for your business? Contact me to schedule a demo.